Preliminary investigation showed that the victim was a 68 year old female resident of the City of Richland Center that had been transferred from the Richland Hospital to Meriter Hospital on the afternoon of Friday, September 18th. The victim’s condition had gotten considerably worse throughout the morning of Saturday, September 19th at which time she was put on dialysis and had further blood work tested that ultimately showed high levels of Ethylene Glycol (antifreeze) in her system. A safety plan was set up in conjunction with the Madison Police Department and Meriter Hospital Security staff to oversee the victim while the investigation continued. According to Chief Clements, a suspect has been identified as, Nina V. Fields, 25 of Richland Center. This identification was the result of the amount of work in a short period of time that the detective and officers investigating this case put forth. 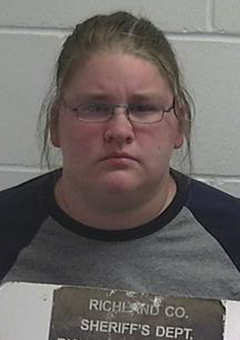 Nina Fields was taken into custody by officers of the Richland Center Police Department at 10:00 p.m. on Friday, September 25th without incident and is currently being held in the Richland County Jail pending a bail hearing and initial appearance. Nina V. Fields is tentatively charged with attempted 1st degree intentional homicide. The victim remains hospitalized in Madison at Meriter Hospital in stable condition and continuing to recover. Chief Clements adds the Police Department has been assisted in this ongoing investigation by the Richland County District Attorney’s Office, Madison Police Department, and Meriter Hospital.